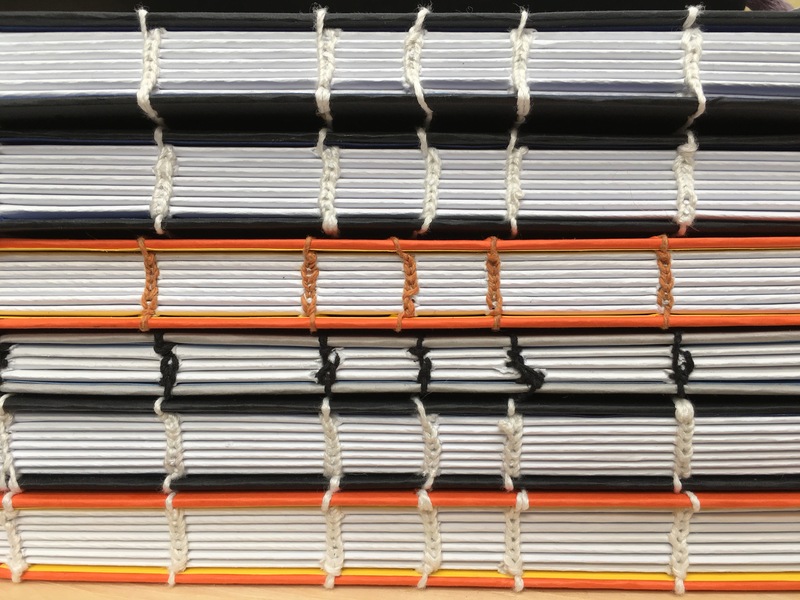 There’s something beautiful about a stack of books bound with Coptic stitch. Particularly when you know that the contents of each book are your own. These are copies of my Book of Splendor, a collection of poetry exploring the relationships between nature and the divine in a particular corner of New England. These are part of a limited edition of 100 copies: numbered, and hand bound, and the hand signed by the author, that is me. I interested in buying one? Let me know.